But I could not bring myself to write Georgie’s story down until tonight. I got pregnant with Georgie in late spring 2013. I had been longing for another child, to complete our family unit, for years but hadn’t had the courage until then as I had been plagued with severe antenatal and postnatal depression with my first pregnancy with Emma. From the very beginning, my body knew something was amiss with the pregnancy. I had very strong pains in my belly, ended up in the A&E but was dismissed home with pain killers and the advice to return if the pain didn’t subside. It did. There were also other signs no-one could interpret then but in my heart, I know that they were all related to my baby being sick, even from the womb. There were unusual blood result readings, when the pregnancy was confirmed two months later, at a private clinic in Thessaloniki, where we were spending our summer. There was also an unusual fetal heart rate reading, too high but not unusual, the doctor had tried to reassure. I gave birth to Georgie on the 22nd of January 2014. I lost a lot of blood, it had come in waves with every contraction, as a way of my body trying to tell us something was wrong, very wrong with this baby. The birthing room did look like a battle field, I remember thinking. We had entered a battle, a life and death fight and we were totally unaware as yet. 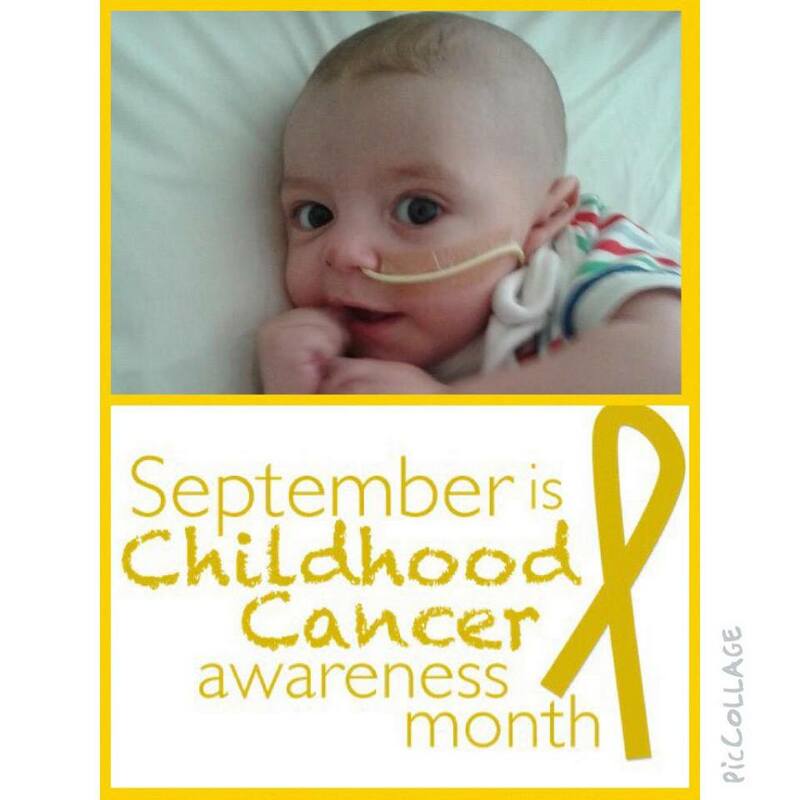 And other things that I could not interpret as symptoms, as I would have never dreamt of a baby having blood cancer. There was the time I cut his nails and pinched a bit of his skin. And he wouldn’t stop bleeding. And crying…For ages. And then, close to three months, he started this strange sweating at night. His pillow would have been soaked but his body was ice cold and needed two blankets. And still, I didn’t know to recognise the signs. But I knew something was not right. Something was terribly wrong, my gut instinct was saying and I kept taking him to the A&E and family doctors for the restlessness he was presenting and now, his poor appetite. And then, he started running low-grade fevers and having diarrhea. Blood tests were done, finally and a week after Easter 2014, at only three months my baby was admitted into the hospital, with a very strong suspicion of leukemia. The diagnosis was confirmed after TWO spinal taps, as even the CHU doctors in Belfast couldn’t believe it. And a very rare and aggressive form of it as well, AML, M7 strand, usually diagnosed in men over 65 and children with Down syndrome. From the word go, my baby had no chance, I know it now. The drugs he was given were not designed for his tiny frame but for much older men. The fact that this form is so rare in children, much rarer than ALL, meant that no research had been done and nothing effective was administered. My baby died after two and a half months of chemo. I write this with the knowledge that since then, an alarmingly growing number of babies and small boys have been diagnosed with AML in Northern Ireland. I truly hope that research will go into this and soon, so that no more children will have to suffer what my son had to suffer in his last two weeks of life and no parents will have to live with the questions, the pain and the haunting memories. Aww gosh this is so incredibly heartbreaking. I can’t even begin to imagine what you and your family have been going through. He looks such a happy and beautiful boy in your photo despite his cruel illness. Imi pare nespus de rau pt durerea ta pe care nu pot decat sa mi-o imaginez. Imi pare nespus de rau ca baietelul acesta cu ochi asa frumosi si zambetul asta mare nu e printre noi. Ma gandesc la el, ma gandesc la tine, mami, la surioara lui si la A. si va doresc din inima sa nu mai existe vreodata nici un fel de durere in viata voastra. Pt ca prin ce ati trecut, si ce continuati sa simtiti deja e prea mult pt o viata de om.